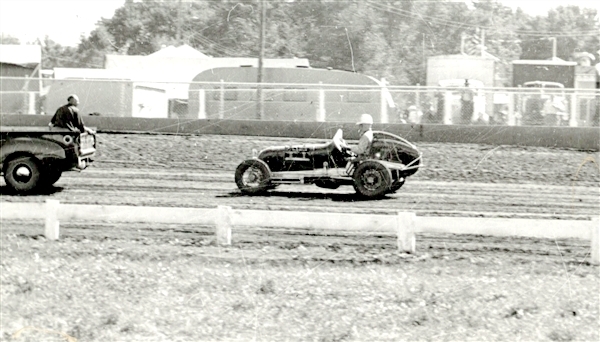 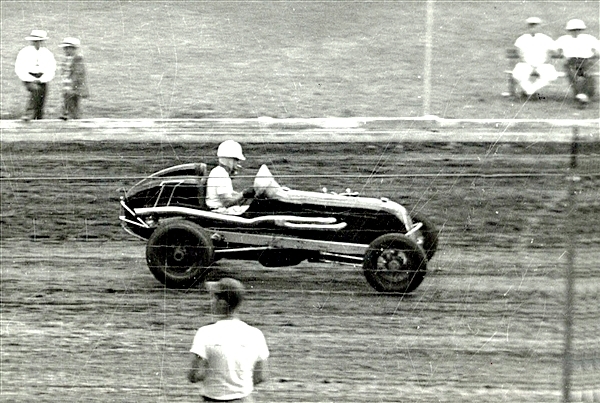 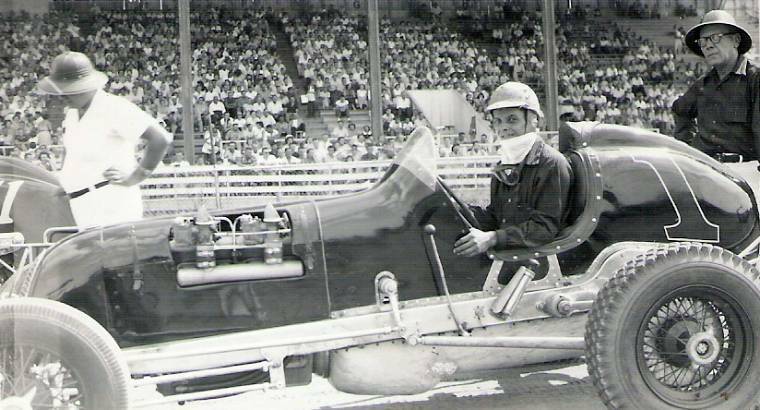 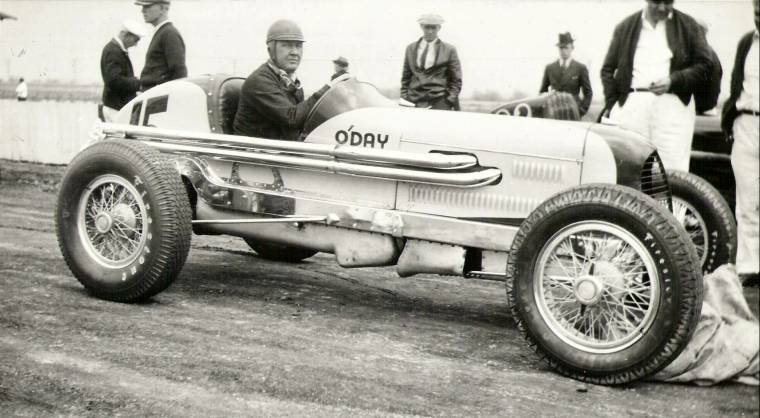 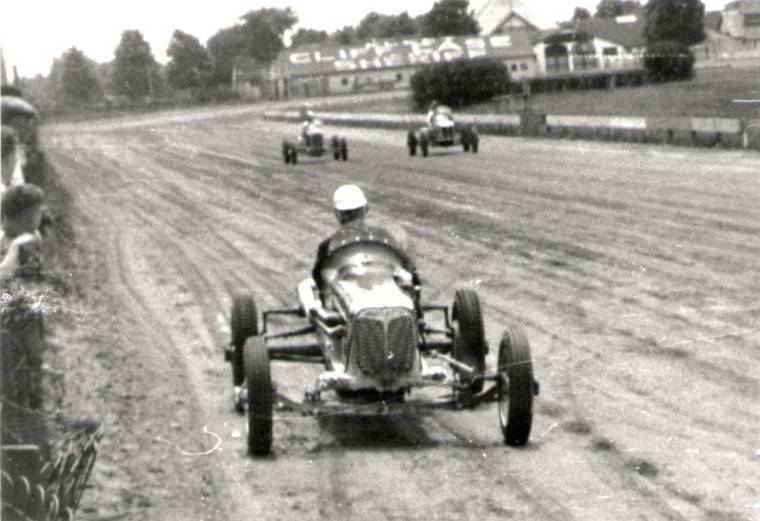 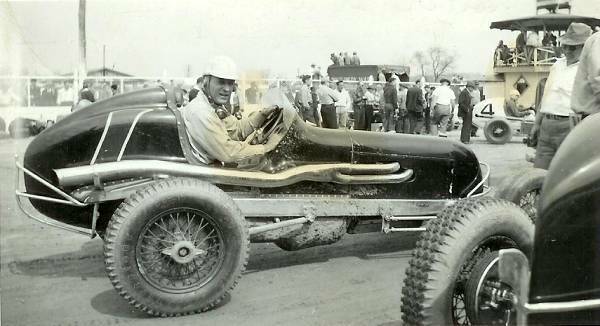 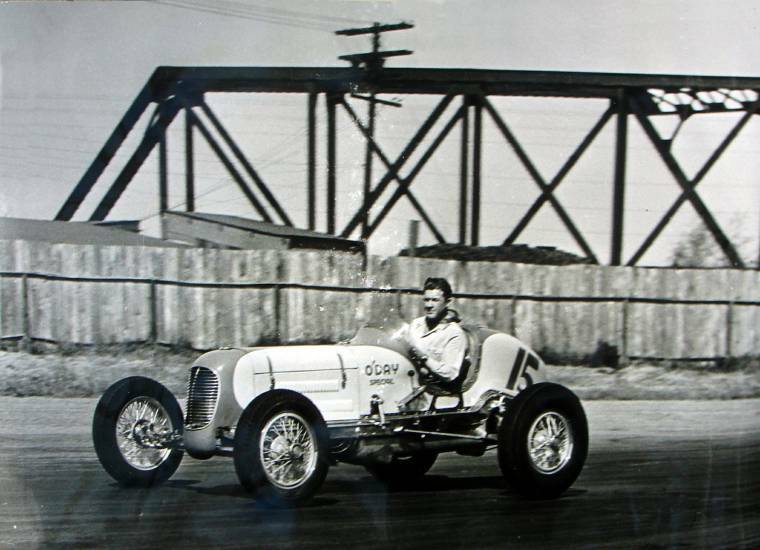 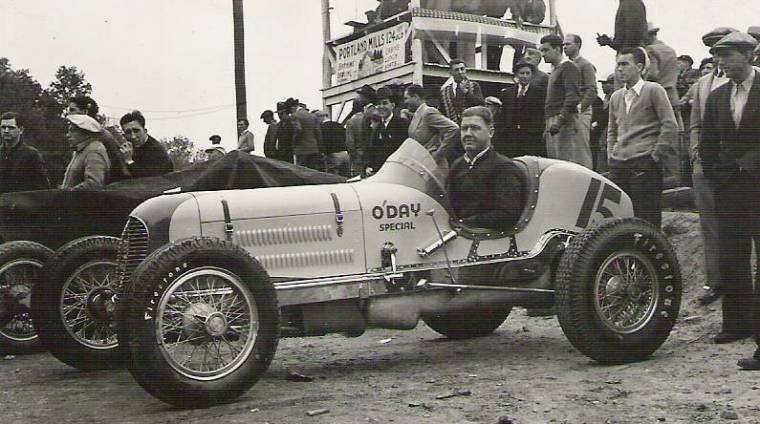 Joie Chitwood in the O’Day Offy at Springfield, IL.. 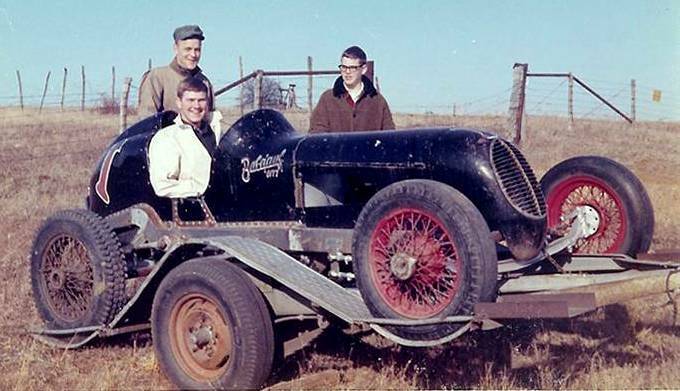 Note the name painted on the toolbox in the background. 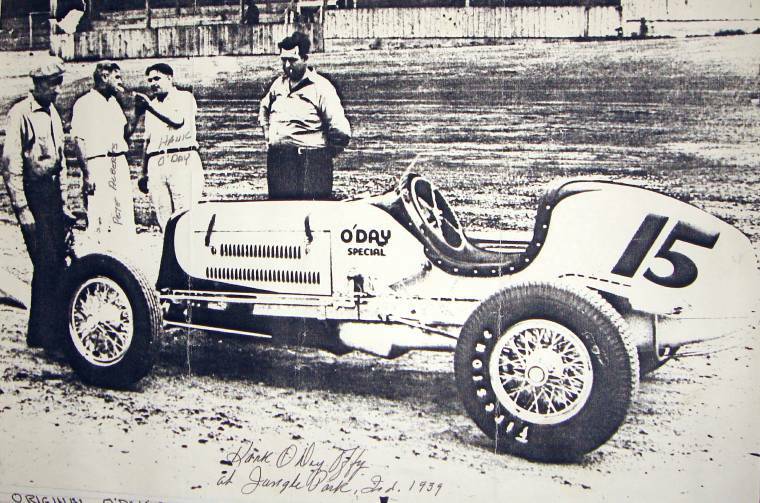 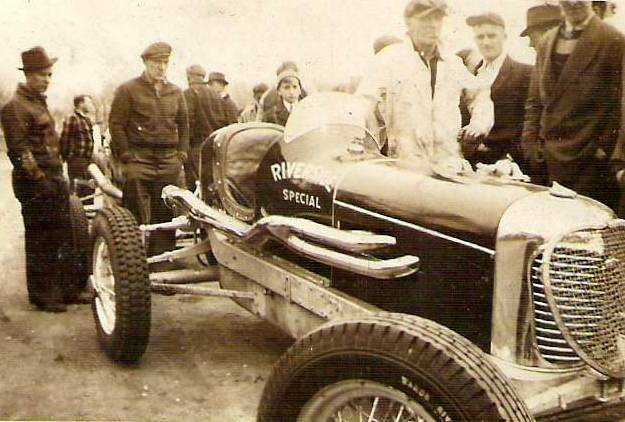 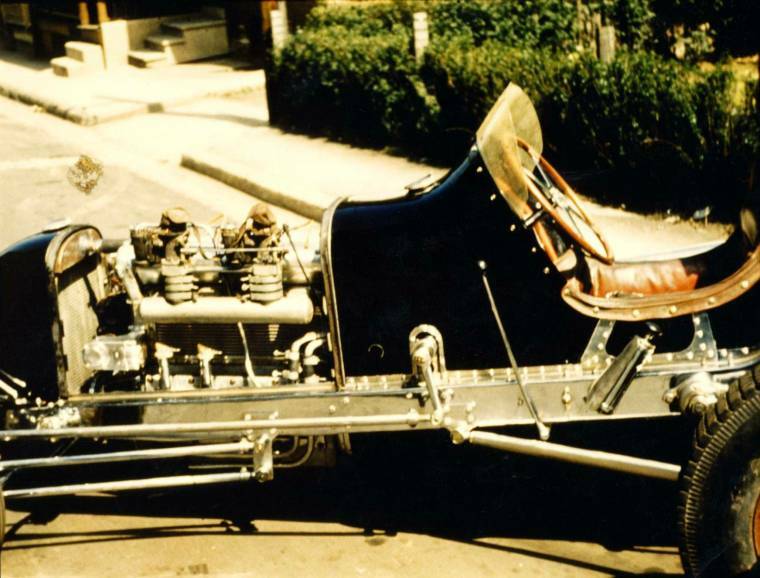 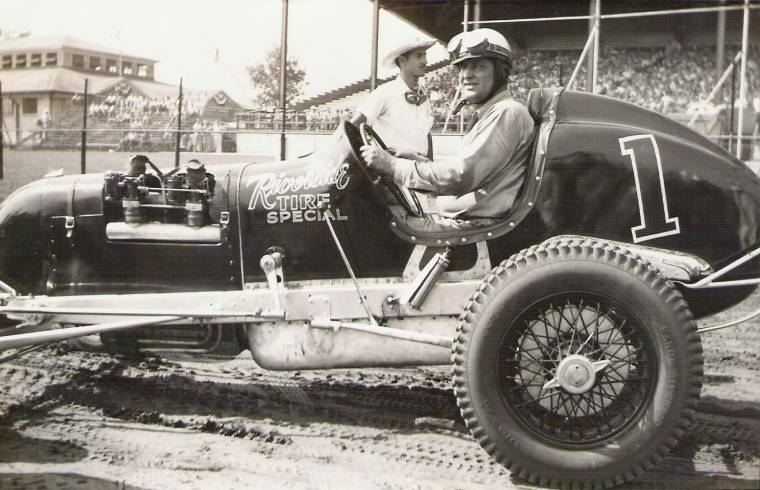 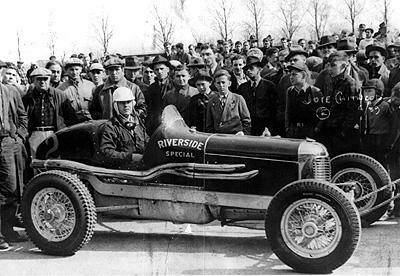 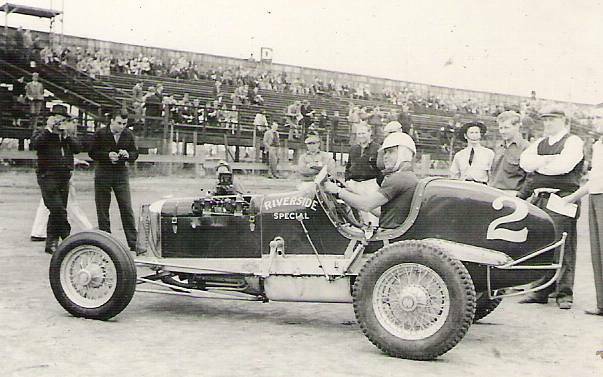 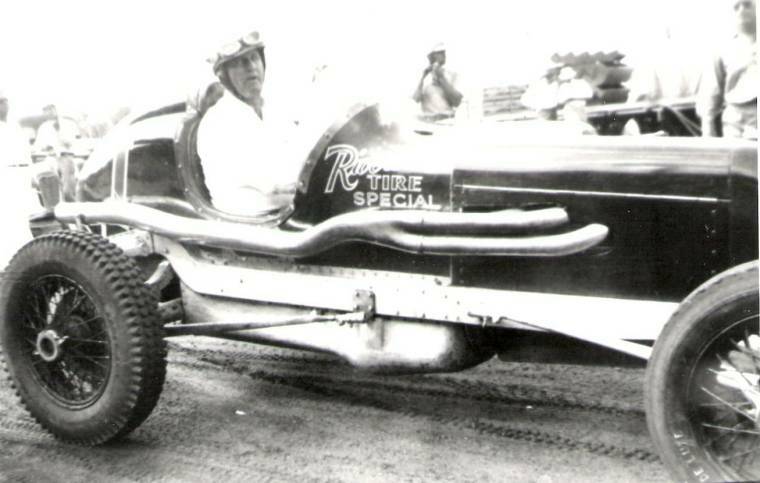 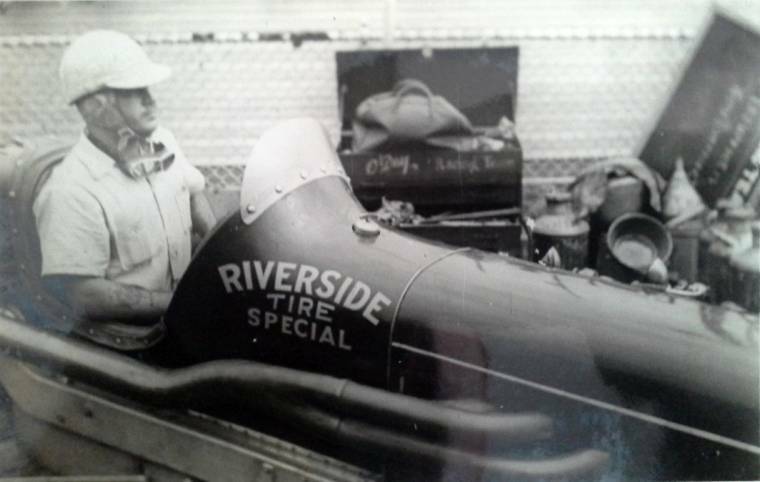 There is a photo of Joie Chitwood from 1942 seated in the #1 Riverside Offy on page 227 of the book, The Illustrated History of Sprint Car Racing 1898-1942 by Jack C. Fox, Carl Hungness Publishing, Speedway, Indiana: 1985. 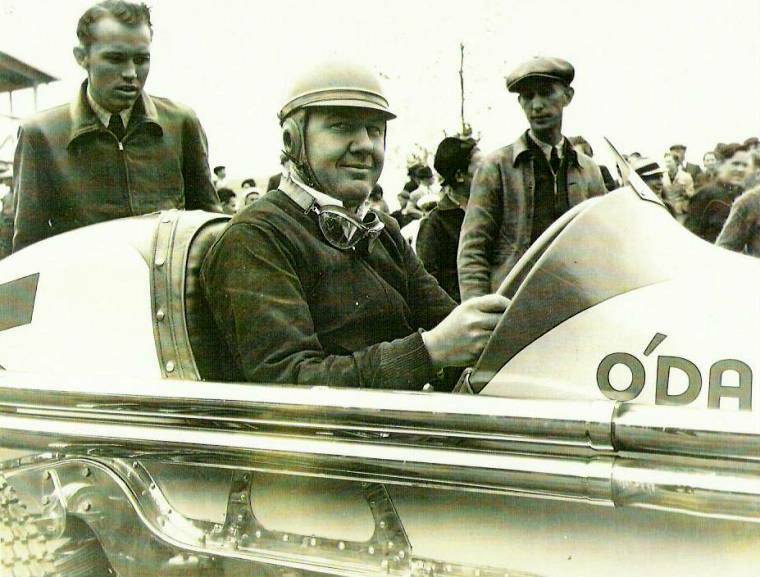 On page 304 of that same book is another photo of Chitwood in the #2 O’Day Offy that was taken in 1939. 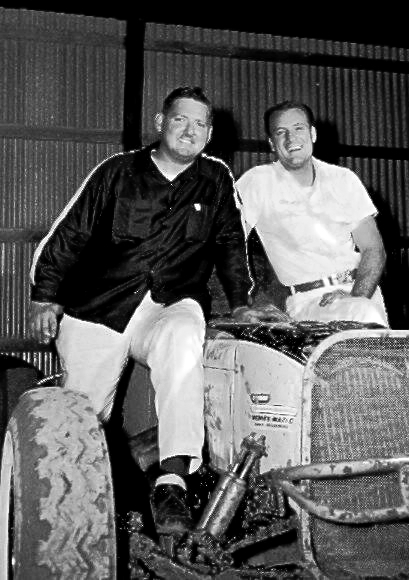 In the book, Reading’s “flying” farmer Tommy Hinnershitz: “the cushion artist” by Carl Sweigart: 1993, there is a photo of Tony Willman and Tommy Hinnershitz standing with race promoter Ralph Hankinson after the two drivers had been injured flipping the #2 O’Day Offy in 1940. 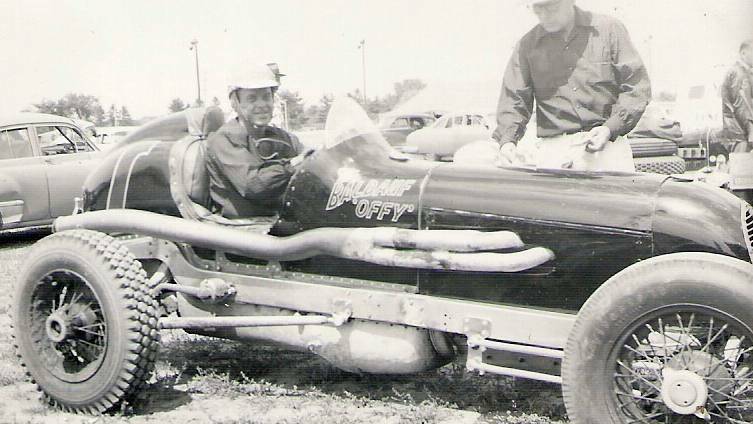 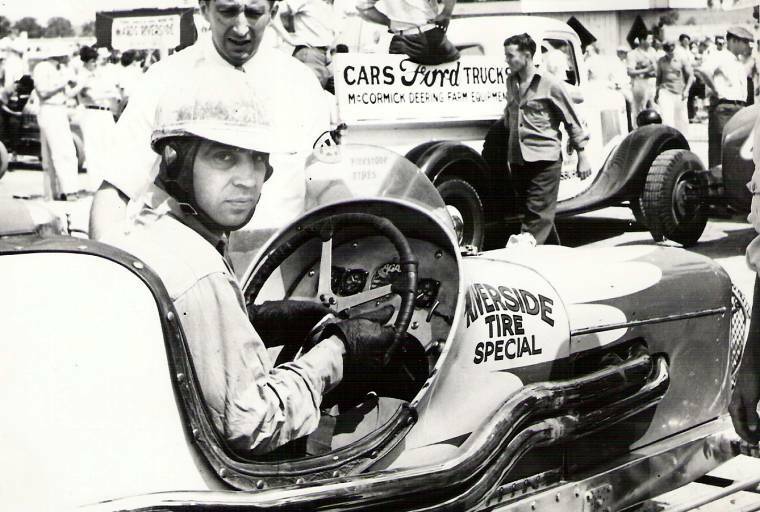 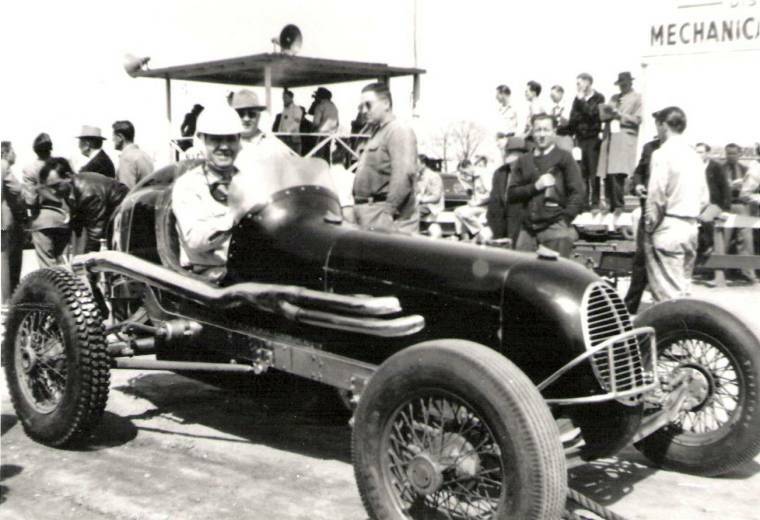 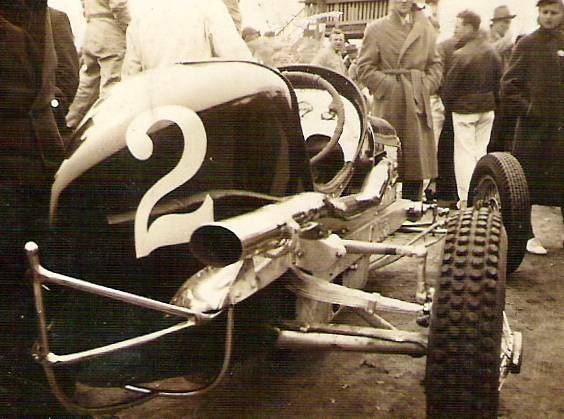 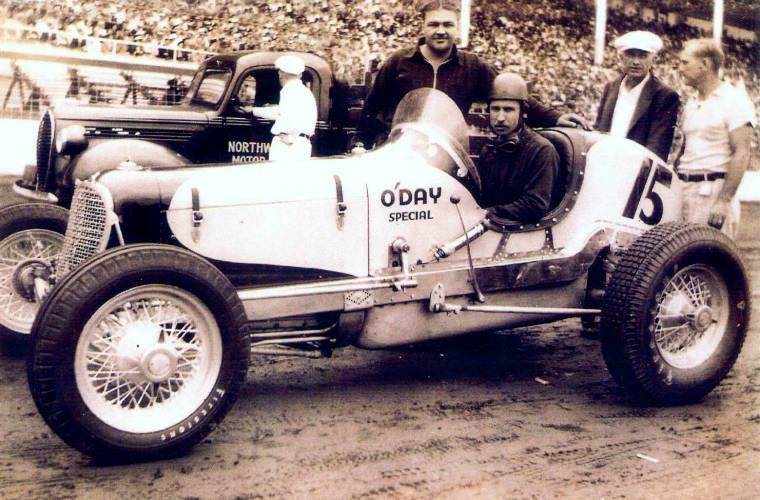 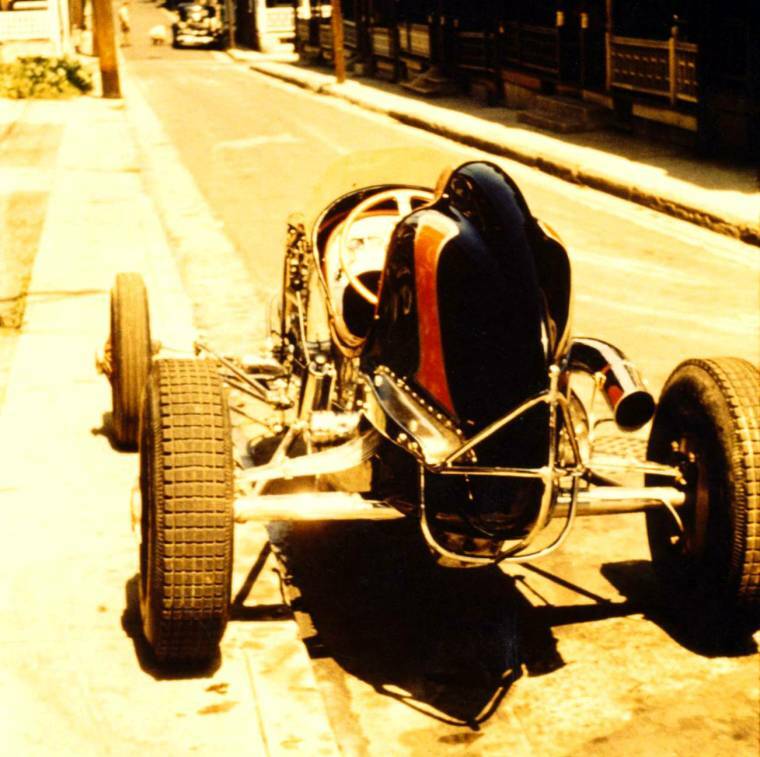 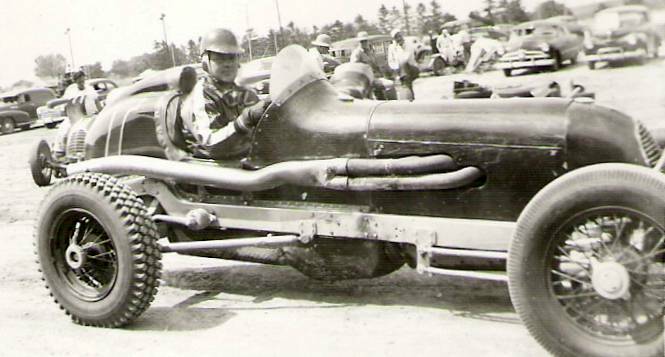 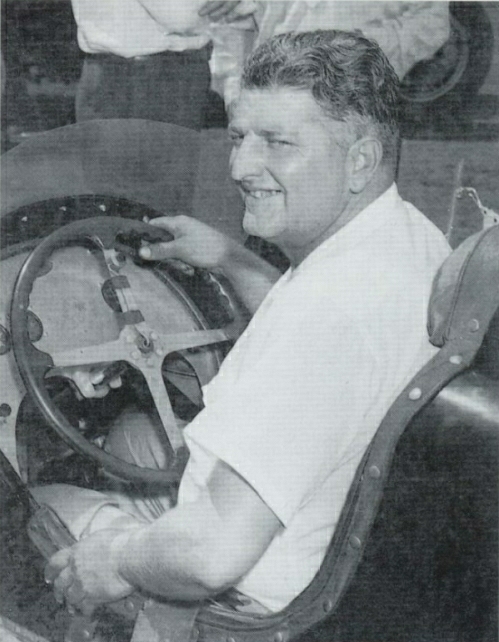 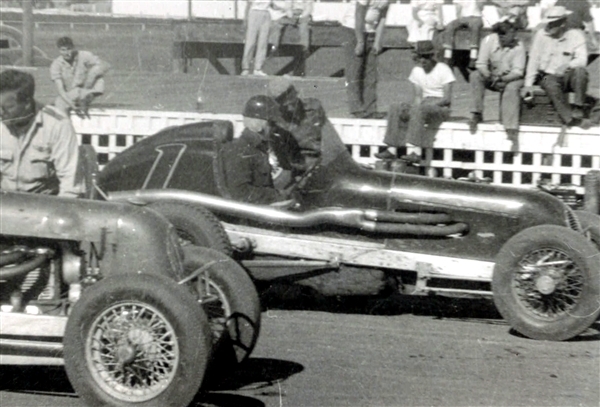 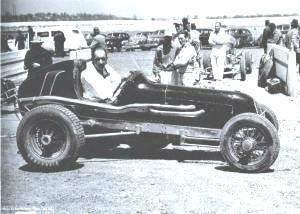 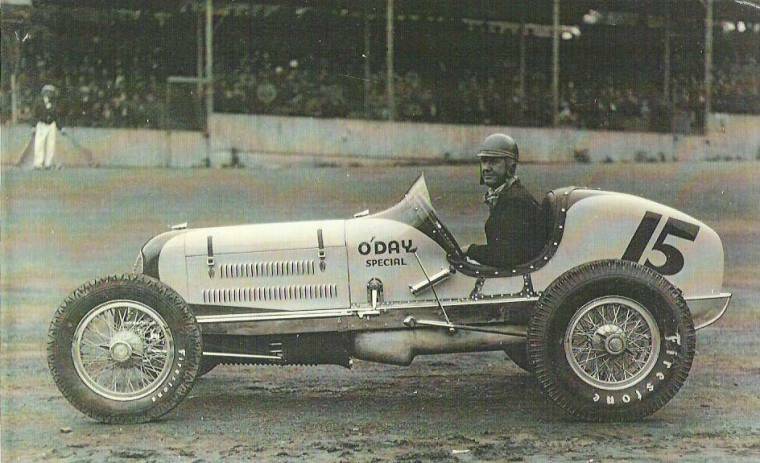 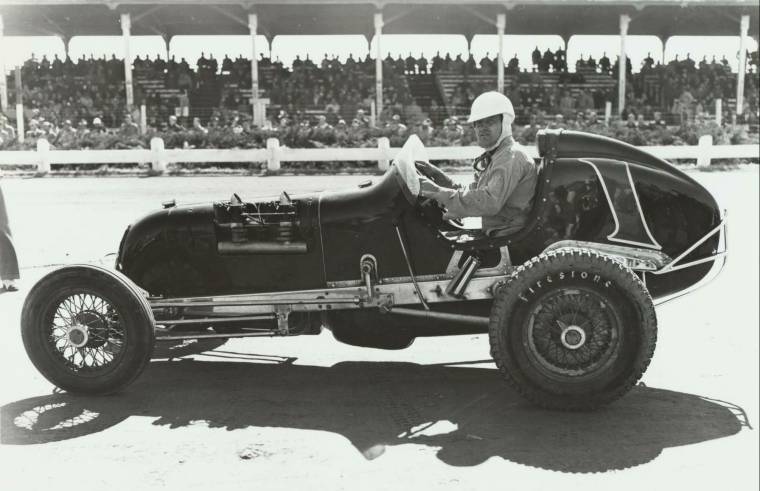 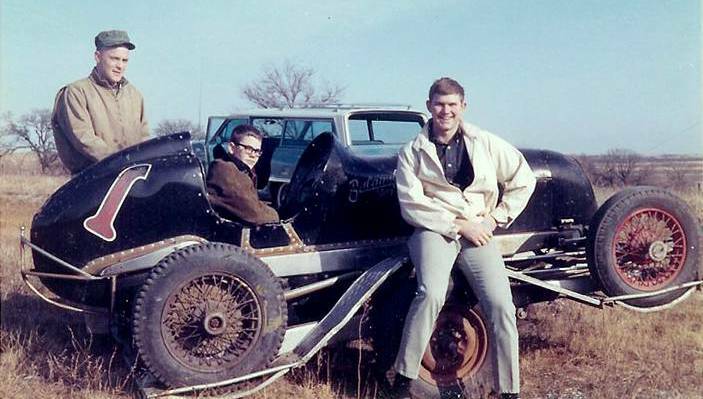 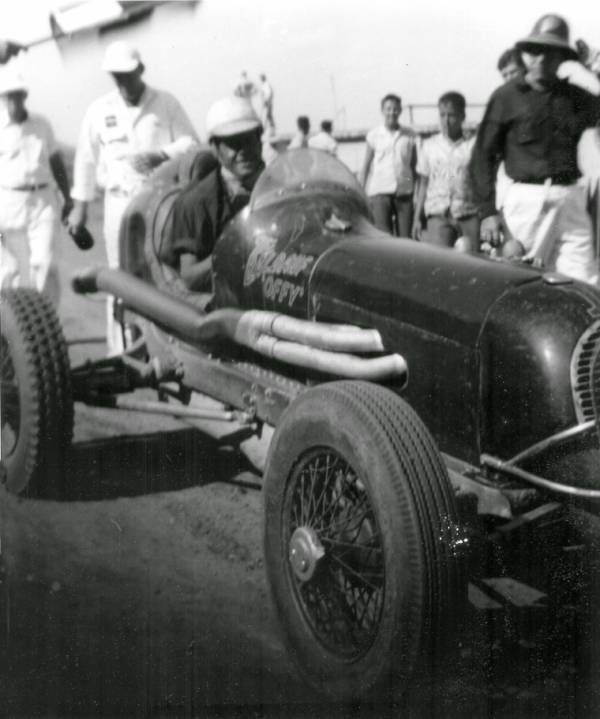 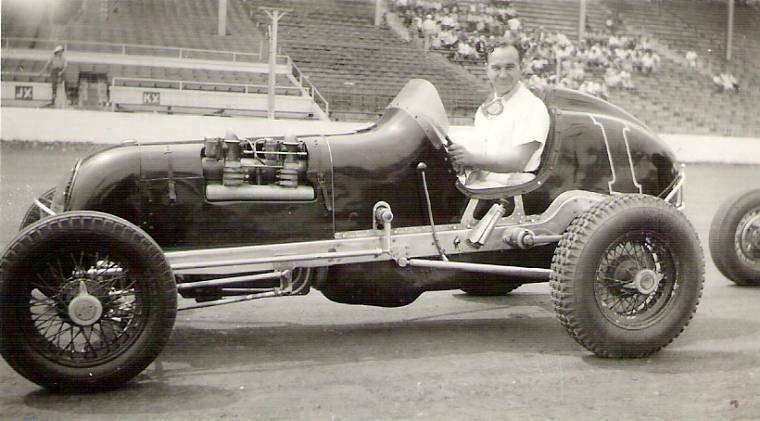 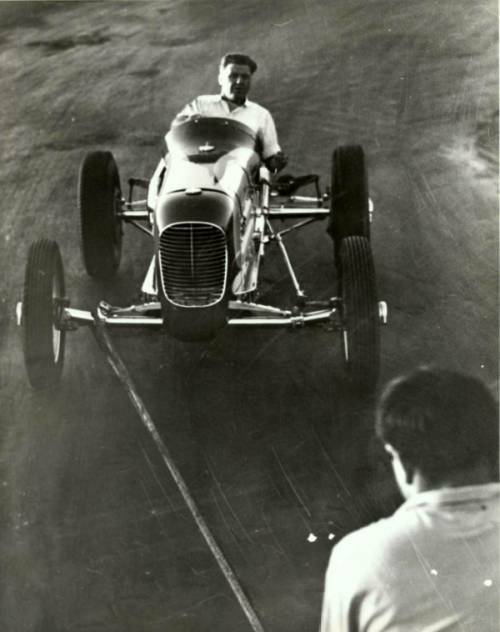 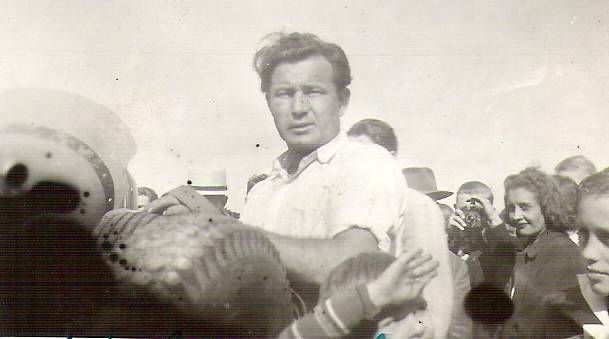 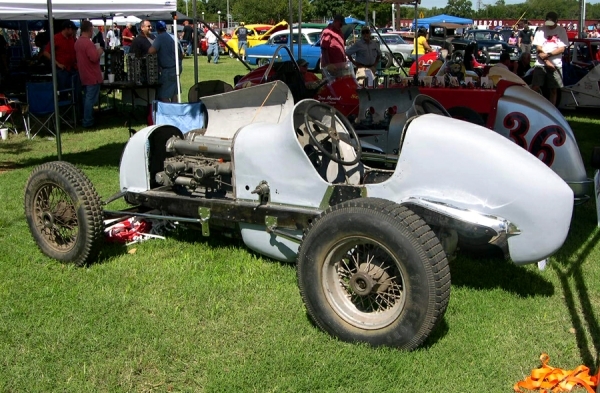 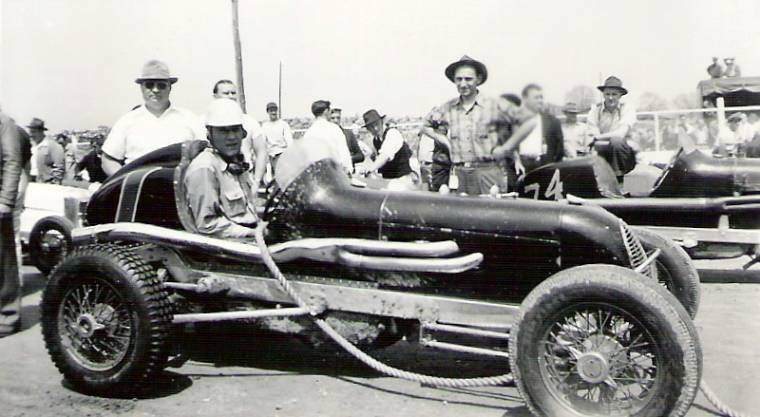 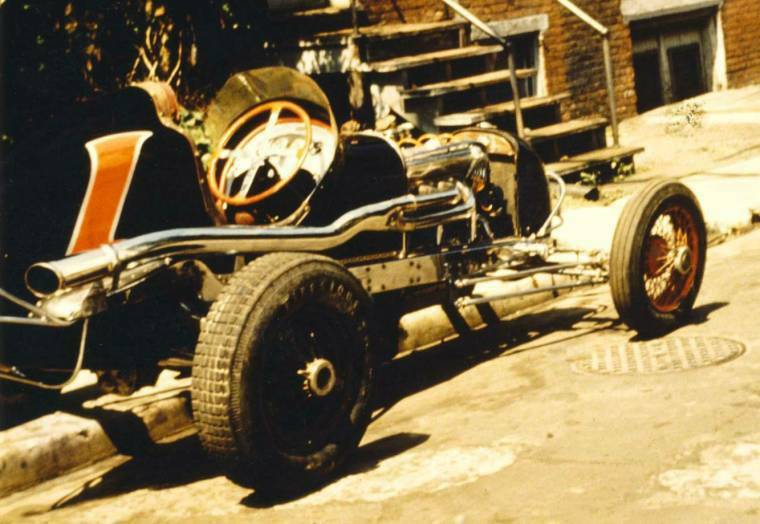 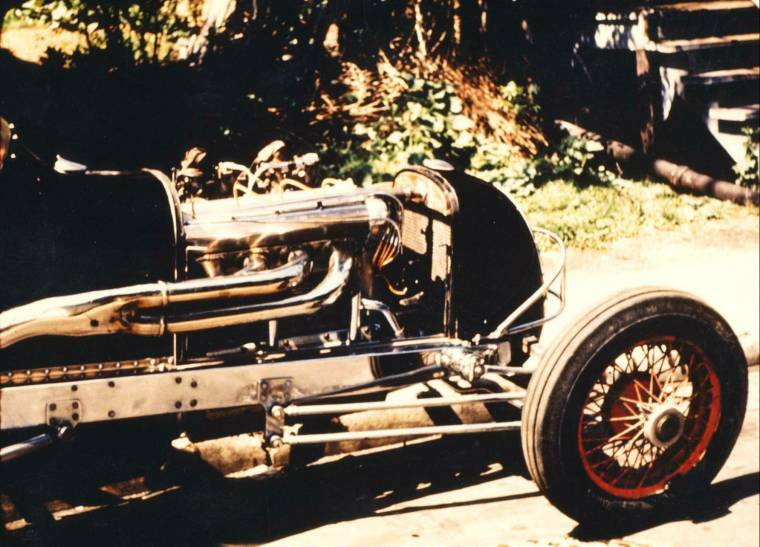 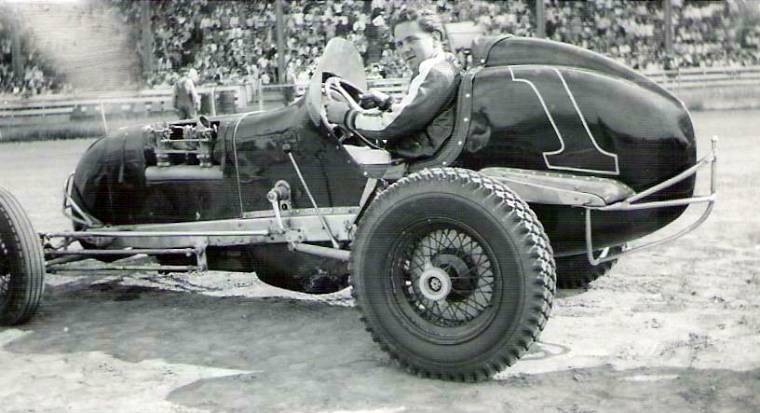 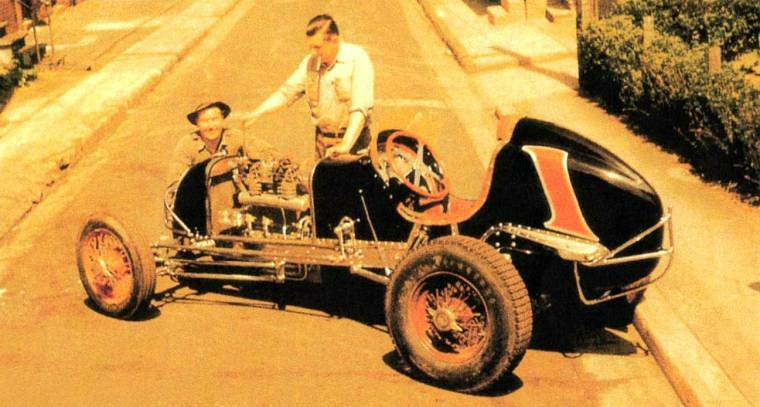 There is also a photo of Tony Willman seated in the #2 O’Day Offy taken that same year. 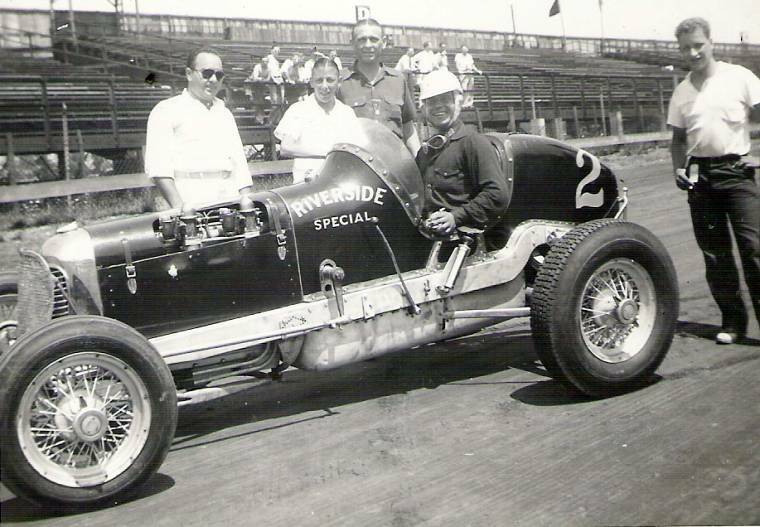 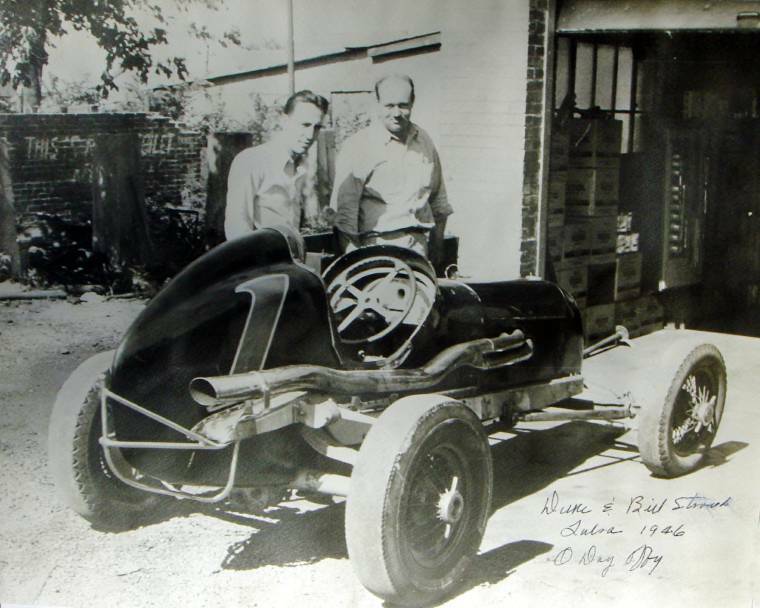 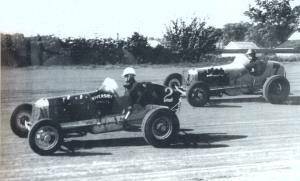 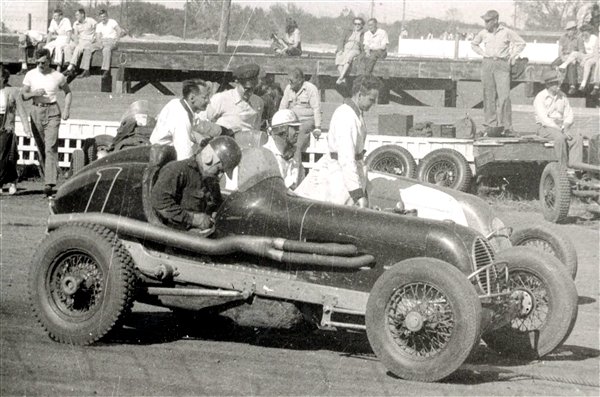 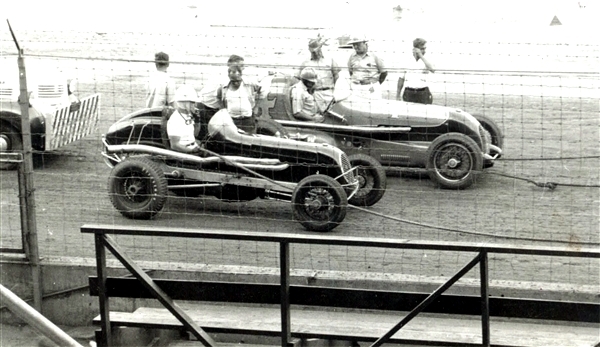 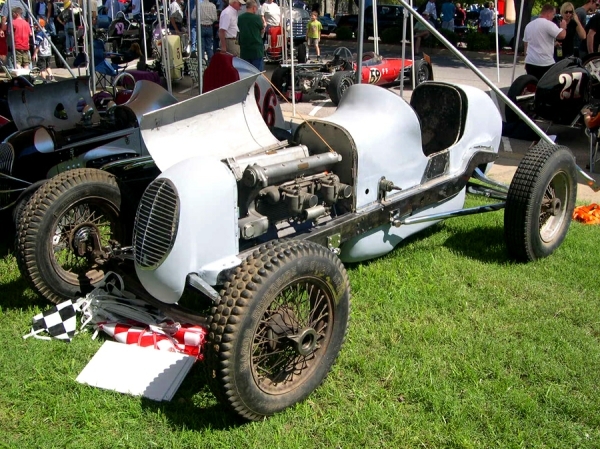 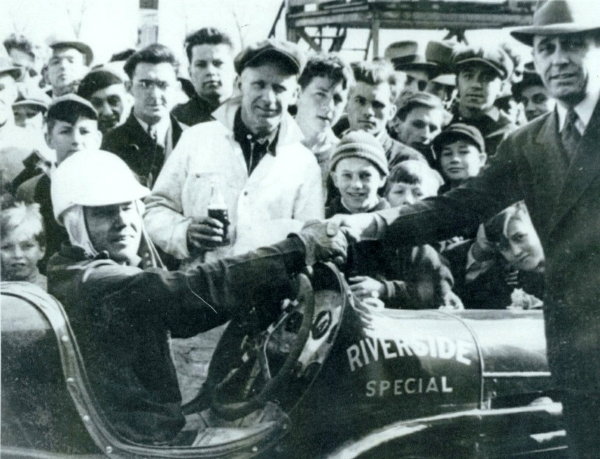 In the book, Safe at Any Speed by Jim Russell and Ed Watson, Witness Productions, Marshall, Indiana: 1992, there is a photo on page 244 showing Hank O’Day, Joie Chitwood, and mechanic Tony Johns standing beside the #2 O’Day Offy in 1939. 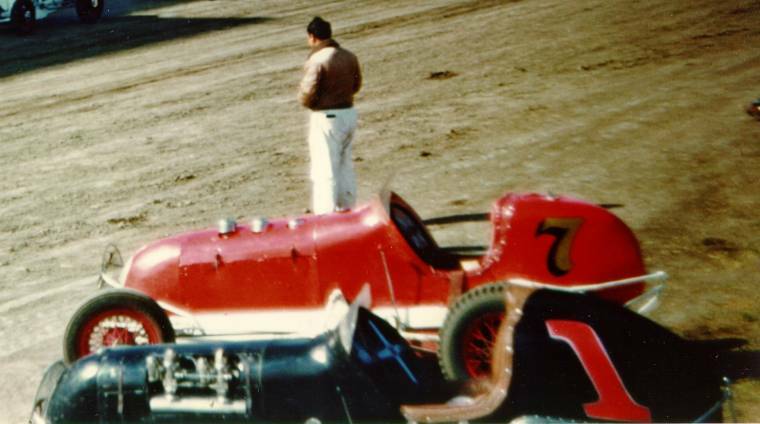 In the book, The Eastern Bull Rings by Buzz Rose, Rose Racing Publications, Glendale, Arizona: 2005. 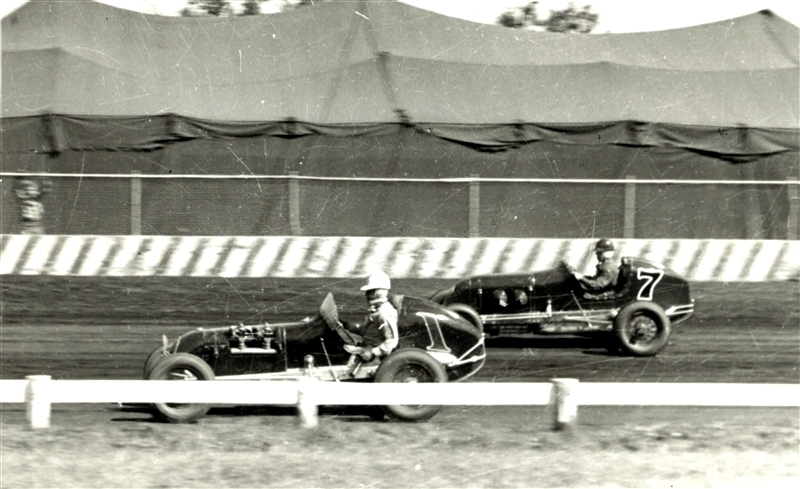 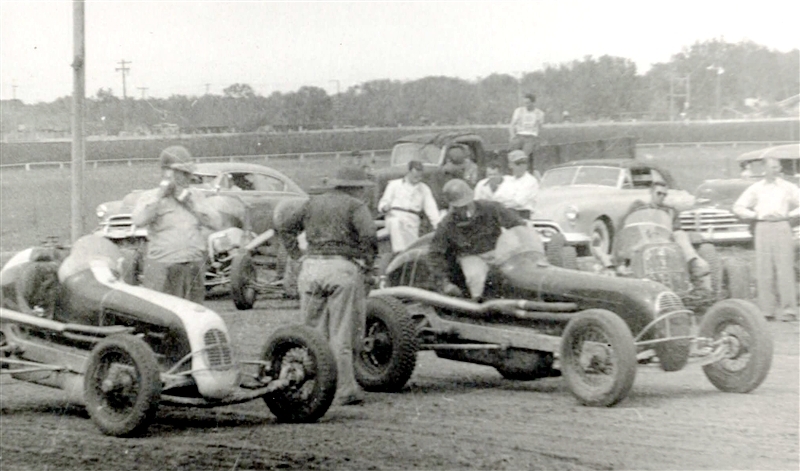 At the top of page 44 there is a photo taken April 19, 1947 showing Ted Horn in #1, Bill Holland in #29, Tommy Hinnershitz in #5, Mark Light in #9 and Walt Ader in the #7 O’Day Offy (with the #7 painted over the top of the car’s by then customary #1). 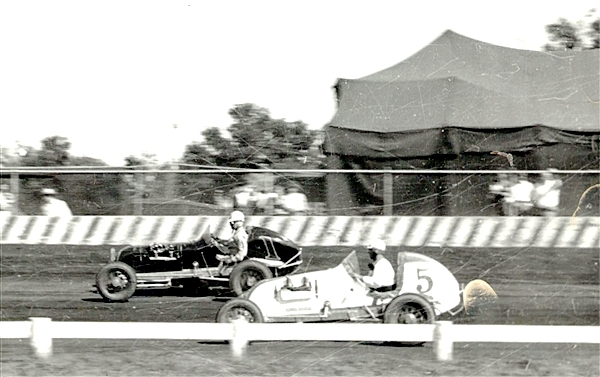 Official records of the International Motor Contest Association on microfilm. 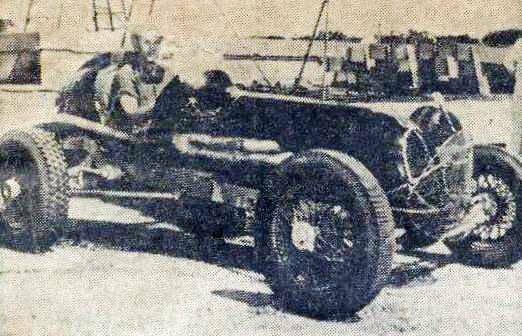 Dodge City Globe newspaper clipping from September, 1955.